We have recently bought new tables, benches and tablecloths for the party room at the Leisure Centre. Along with the beautiful mural in there, painted by Art Explosion’s Ruth and Jude, the party room is now even more pleasant. We also have disco lights which we tried out at our Halloween party and are using at our Friday night teens skating. You can use the disco lights at your party as well – just ask. 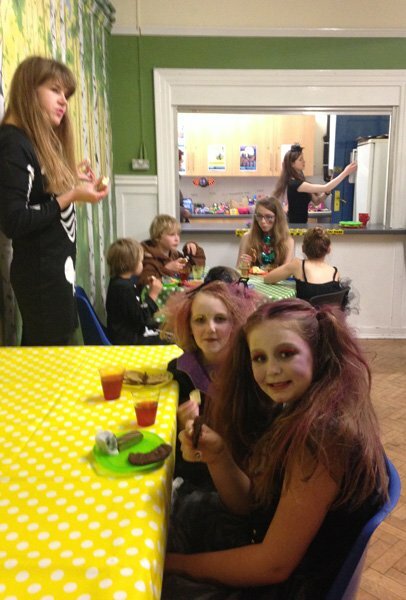 You can find out more about booking a party on our website. Please plan in advance though, as we are getting very booked up.